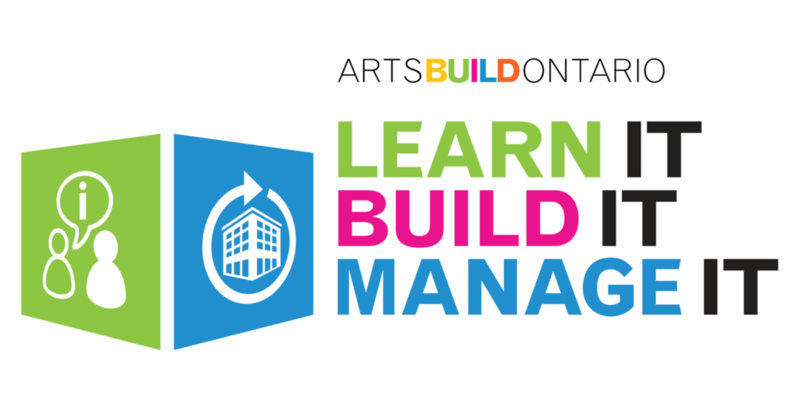 Announcing LEARN IT | BUILD IT | MANAGE IT 2019-2020! Posted on Apr 9 2019 at 10:00 am. LEARN IT | BUILD IT | MANAGE IT is back! This two part workshop and webinar series will be offered over 2019-20 in the communities of Kitchener, Cambridge, Orangeville, Waterloo and Guelph. Through this series, ABO and presenting partners will be sharing local examples and strategies related to four key areas that support creative space capital projects. These include: Alternative Financing, Community Engagement, Building and Maintaining creative spaces. LEARN IT | BUILD IT | MANAGE IT PART 1 will offer two sessions on Alternative Financing for Capital Projects and Engaging Community in Capital Projects. When building or renovating a creative space, uncovering and integrating community needs are essential for the success of a project. 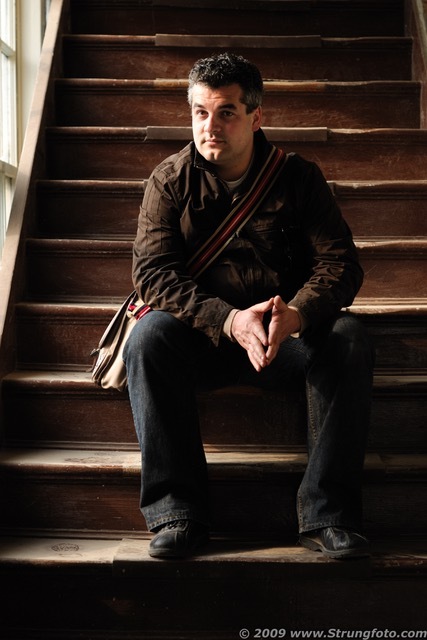 In this session, Jeremy Freiburger, Chief Connector and Cultural Strategist of Cobalt Connect, will be sharing strategies and recommendations for engaging the local community in capital projects and developing creative spaces around community needs. Learn more about Webinars and Part 2 Workshops on the LEARN IT | BUILD IT | MANAGE IT program page. Posted on Mar 28 2019 at 9:34 am. Reporting to the Program & Assistant Executive Director, duties include: supporting rentals at 44 Gaukel (an arts and tech hub in downtown Kitchener); supporting ArtsBuild Ontario’s (ABO) programs as needed; actively working with organizations to list their rentals on SpaceFinder across Ontario. This will involve outreach to creative spaces across the province. Posted on Feb 5 2019 at 9:52 am. Back in November 2018, we traveled to Montreal with Trinity St. Paul’s, Faith and the Common Good and the Toronto Arts Council to explore how sacred spaces are working with arts organizations to transform their facilities into thriving spaces that serve the creative community. Montreal marks the third location of our research of faith and art spaces, a project supported by the Metcalfe Foundation and led by Kendra Fry of Trinity St. Paul’s/Faith and the Common Good. We traveled to Philadelphia and New York City prior to Montreal, and while these cities provided us with operating models from two very different American communities, Montreal offered examples of faith and creative spaces in a Canadian context. 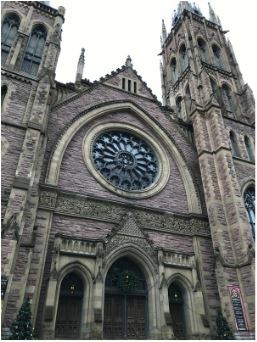 We visited a number of churches in Montreal, but these three locations really stood out to us. 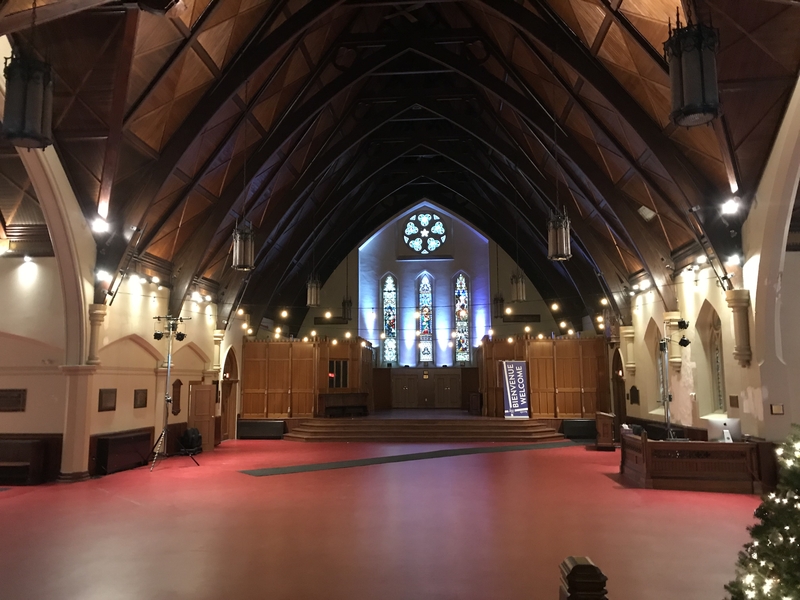 A heritage church built between 1888-89 and a National Historic Site of Canada, St. James United Church has opened up their space for arts organizations to rent. Responding to high rental prices in downtown Montreal, St. James is opening their doors to the arts at a lower rate. They recently provided overflow space for Place des Arts with a remote screening of Yo-Yo Ma’s live performance next door. While they are still growing a creative rental audience, they offer Daweson Hall – a former Sunday School – as a rental space for arts groups, including a dinner theatre. St. James has also opened up The Churchill Suite which offers 5,000 square feet of office space specifically for cultural, social and arts organizations. Other rental spaces include the Sanctuary and outdoor Public Square located at the front of the church. Part of the Montreal Museum of Fine Arts (MMFA), Bourgie Hall is a former church turn into a 444 seat concert hall. Formerly the Victorian Erskine and American Church, it was designed by the architect Alexander Cowper Hutchinson in the Roman Revival style in 1894. Bourgie Hall is located beside the MMFA and is renowned for its chamber music performances, presenting their own programs and other chamber orchestras. The MMFA opened Bourgie Hall in 2011 as a response to a need for chamber music performance space in the City. The renovation of the former church also increased the MMFA’s exhibition space by 20%. St. James the Apostle Anglican Church reopened its doors as St. Jax Montreal in December 2016. The 154 year old church closed in 2015 and remerged as both a church and community space. During the closure, pews were removed and the Sanctuary was fitted with new lights and a sound system. St. Jax currently has a 200 person parish and rents to other churches, community groups and organizations – including arts organizations. Through a space rentals program, the church created a stream of earned revenue to offset staffing costs and facility maintenance. Spaces in the church available to rent include the Sanctuary (used for banquets, conferences or smaller gatherings), Shatford Hall (equipped with a stafe, mirrors and used as rehearsal space), Basement, Chapel and Gardens. The churches we visited in Montreal proved to be facing many of the successes and challenges our faith spaces and arts organizations are facing here in Ontario. While many churches are experiencing declining parish numbers, there remains an opportunity for faith spaces and the arts to support one another. 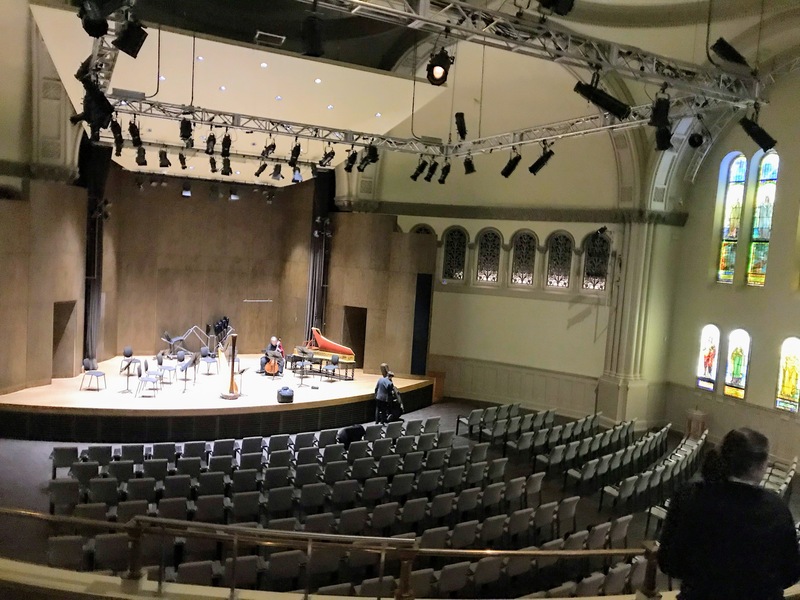 Bourgie Hall is a unique example of how arts organizations can repurpose faith spaces – leveraging the former church’s natural acoustics to create a state of the art chamber music performance venue. As we continue to answer the needs of our arts organizations with relevant programs, tools and resources, ArtsBuild Ontario looks forward to continuing our research of faith spaces and creative places, and how partnerships and/or adaptive reuse of faith spaces can serve our organizations with space solutions. Announcing Accessibility Webinars for Creative Spaces! Posted on Dec 13 2018 at 11:20 am. ArtsBuild Ontario is excited to announce upcoming accessibility webinars in the Learning Series! These webinars will focus on accessibility and creative spaces based on the Design for Public Spaces Standard, as part of the Accessibility for Ontarians with Disability Act (AODA). The webinars will explain how creative spaces need to meet accessible building standards and explore ways creative spaces can go beyond the standards. The webinars will be supported by a toolkit for creative spaces around the topic of accessibility, which will be released in Spring 2019. ABO would like to thank its accessibility advisory committee for informing the webinar topics, speakers and upcoming toolkit for creative spaces in Ontario. This project is supported by the Government of Ontario. Free Webinar: Design for Public Spaces 101: Where do Creative Spaces Start? Free Webinar: Design for Public Spaces Advanced: How can Creative Spaces Go Beyond the Standard? 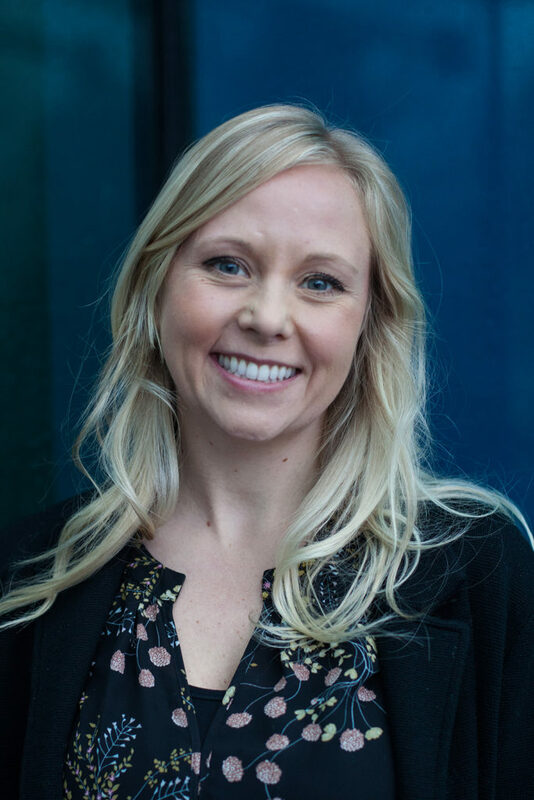 Presenters: Amy Potier, Accessibility and Building Code Specialist with Gensler as well as Corey Timpson, Principal at Corey Timpson Design Inc and former Vice President of Exhibitions at the Canadian Museum for Human Rights. Registration is available through Eventbrite and webinars are delivered through Adobe Connect with closed captioning. If you anticipate needing any type of accommodation to register or participate in our webinars, please call 519-880-3670 ext. 101 or email erin@artsbuildontario.ca in advance of your participation. Announcing the 2018/2019 Learning Series! Posted on Oct 4 2018 at 12:58 pm. It’s back! We’re excited to announce our Learning Series is returning this fall with new webinars and a workshop to support arts organizations and their creative spaces. These sessions will provide tools, best practices, and feature guest speakers from the sector to inform and inspire creative space managers. Many of the webinars in this year’s Learning Series will focus on capital projects and accessibility in creative spaces. Dates for accessibility webinars will be announced later this fall! ABO’s 4th Annual Online Auction is NOW LIVE! SpaceFinder is now live in eight Ontario communities including Sudbury, Ottawa, Simcoe County, York Region, Waterloo Region, Toronto , Mississauga and Hamilton and 3 Canadian regions! Asset Planner for the Arts is an easy to use program helps arts organizations plan ahead for building repairs and upgrades. Contact our Program & Assistant Executive Director Alex Glass for a quote today! CSMN provides leaders in Ontario’s arts community engaged with space related issues with the unique opportunity of one-to-one learning with an experienced topic expert. ABO is excited to announce our new Vendor Directory! The Vendor Directory connects arts organizations with service providers who work with creative spaces. The site will be ready to search in early 2018! Bricks&Mortar is Ontario's first database to centrally house current information about the spaces and facilities used by arts organizations.